Conservationists were left disappointed last night after the Scottish Government and power firm SSE vowed to appeal the refusal of a giant windfarm in the Highlands. The Court of Session had overruled Scottish ministers earlier this month and rejected planning permission for the Stronelairg development in the Monadhliath mountains above Fort Augustus. But the Holyrood government and SSE confirmed yesterday that they would appeal the decision. The John Muir Trust (JMT) conservation group had brought a judicial review, raising concerns about the impact of the development on peat land and tourism, and winning backing from groups such as the National Trust for Scotland and the Mountaineering Council for Scotland. Court of Session judge Lord Jones described the government’s decision as “defective” and said it had breached environmental obligations by not referring to an objection in principle by Scottish Natural Heritage. Helen McDade, JMT’s head of policy, criticised the decision to appeal the ruling last night. “The trust has had tremendous support from the public that has allowed us to take this very costly judicial review,” she said. “Lord Jones confirmed in his decision that the trust was taking this action for the public good. “It is therefore, disappointing that the Scottish Government is spending more public money to defend a planning decision which has been found to be illegal. A Scottish Government spokesman had “considered the judgement of Lord Jones” and were appealing the decision. 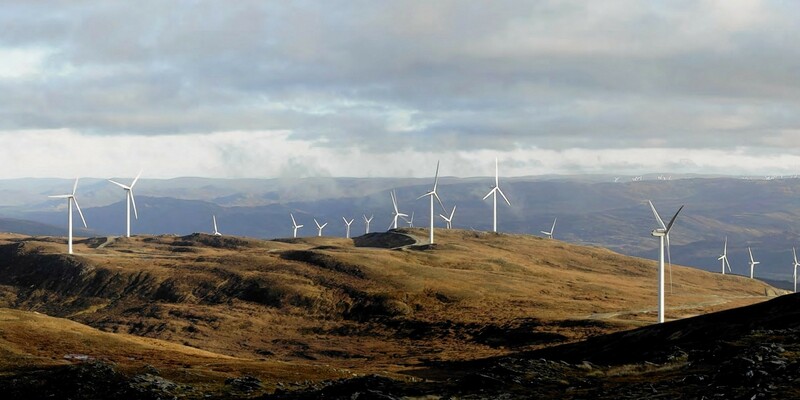 A spokesman for SSE said: “We intend to appeal the ruling by the Court of Session reducing the consent decision for Stronelairg wind farm, and we welcome today’s decision by the Scottish Government to do the same. “We believe the consent decision was lawful. Stronelairg is a carefully designed project sited on degraded peatland with the carbon payback estimated to be around 16 months.